Outdoor Stone Pavers are an excellent choice when looking to define beauty, elegance, and durability to any driveway, pool deck, Patio, and walkway. Ebie Construction specializes in the installation of stone pavers for new residential or commercial construction as well as any home or office remodeling project in the Pinellas County area. We take pride in our installation of stone pavers and guarantee that our team of professional installers have the proper knowledge and experience to properly install your new stone pavers correctly the first time every time, leaving your driveway, pool deck, patio, and walkway with an elegant long lasting look. Our company also specializes in custom stone paver designs and layouts for a unique one of a kind stone paver installation. We can customize, combine, and modify almost any surface into a beautiful look by designing a custom stone paver layout to fit your individual needs. 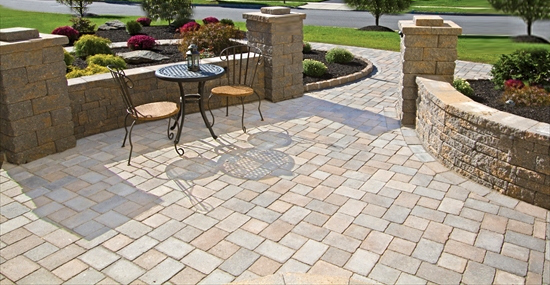 Are your stone pavers cracked, discolored, or even missing? Let our company come out and take a look. We specialize in full and partial replacement of most stone pavers.